The 18'6 x 36'6 Grecian Pool Covers always a family favorite! Most rectangle pool covers can be purchased with several different material options. The most popular material styles are safety mesh and solid vinyl. 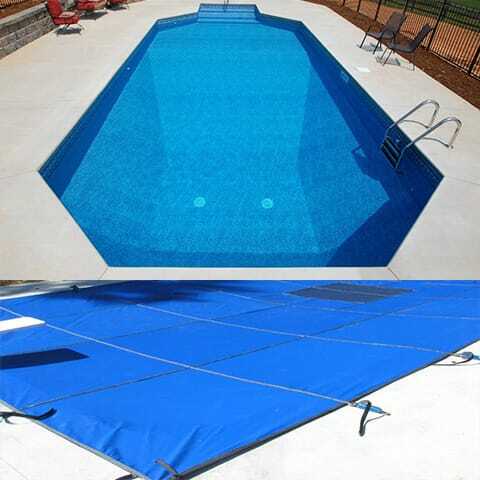 Safety mesh material allows water to pass through the cover and do not require an automatic pool pump. 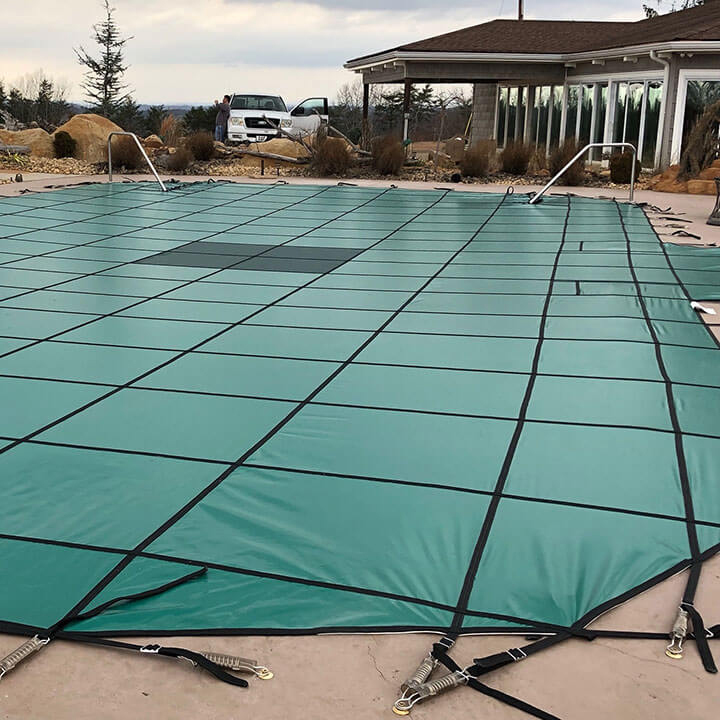 Solid Vinyl material pool covers require a center mesh drain or an automatic pool cover pump to keep water from puddling on the top of the cover. ONLY THE BEST 18’6 x 36’6 POOL COVERS!